When the lovely people at BakerDays contacted me and asked if I would be interested in reviewing one of their letterbox cakes I jumped at the chance. 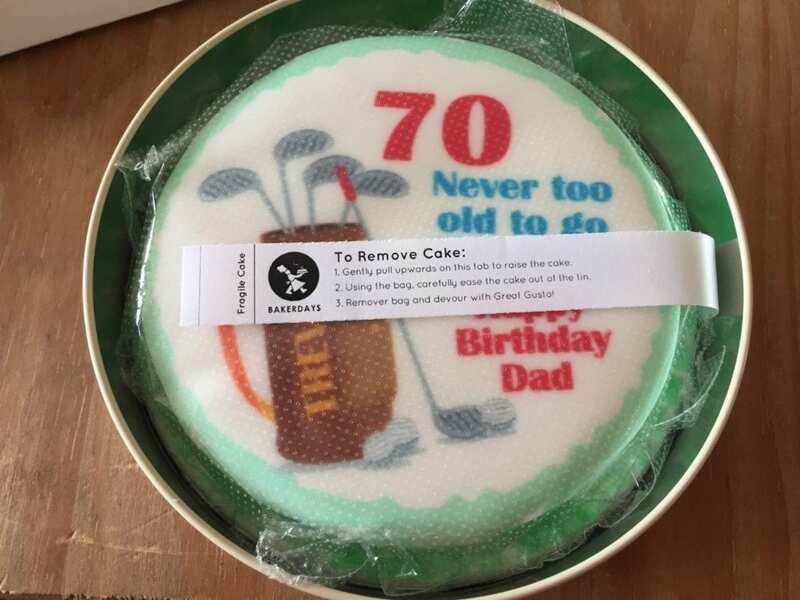 It was my dad’s 70th birthday coming up and we were going away for the weekend as a surprise so making and then transporting a cake was out of the question. This was the perfect answer. 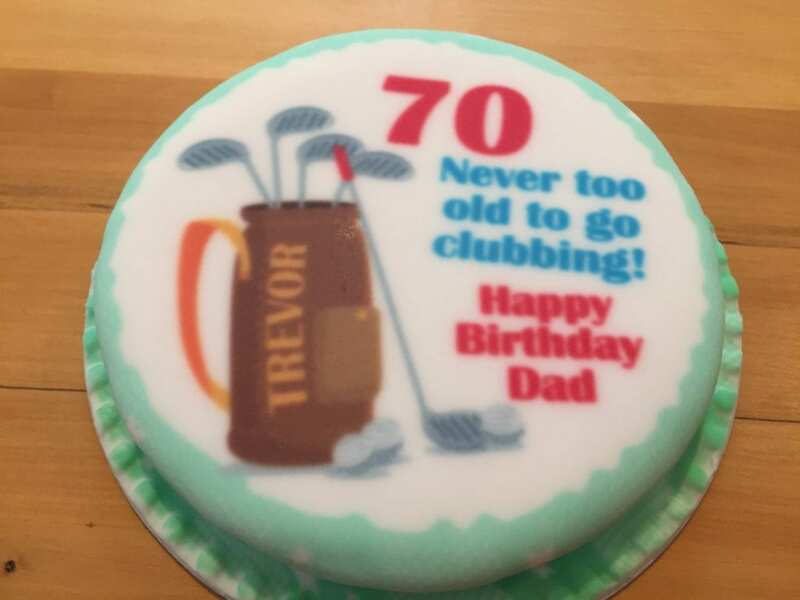 My dad’s 70th birthday was around the corner. Ordinarily I would set to work in my kitchen and bake a cake (although as you will read in my previous posts sugar paste craft is not my forte!). However we were planning a surprise long weekend to the Isle of Wight for his actual birthday, so not only would it be difficult to transport a cake and get in there in one piece, I was also concerned how fresh it would be on the Sunday. My other big issue was as a busy working mum, I had a particularly busy week ahead of our weekend away and I just physically didn’t have time to bake anything. order before 2pm, BakerDays can deliver the very next day! It sounded too good to be true! I searched on the website, which has so many different designs, all of which can be personalised, you can even design your own. 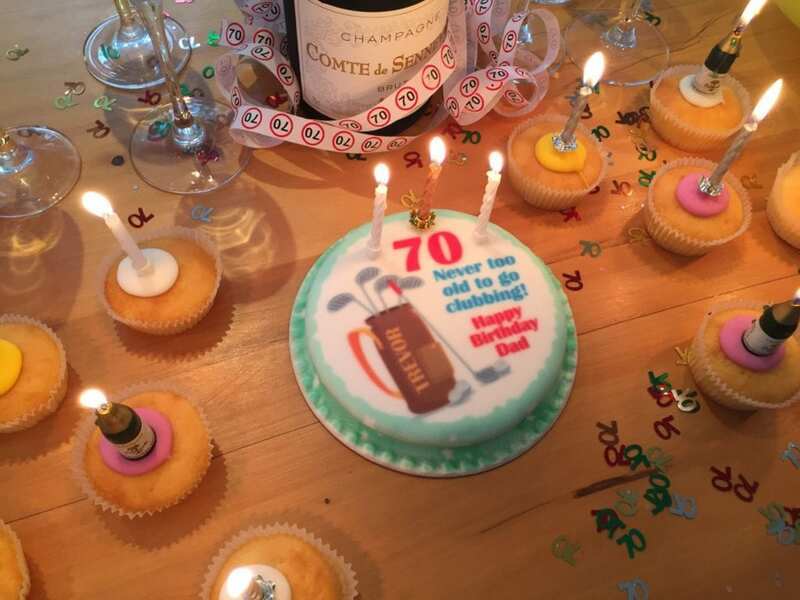 I chose a simple golf themed cake, with my dad’s name on the golf bag, and obviously a message to say Happy Birthday and the obligatory 7 and 0! The Letterbox cake is the baby of the BakerDays cake family. Being just 5″ in diameter, it fits perfectly through the letterbox. Although I knew it was going to be small so it could fit through the letterbox, this appealed to me, as I wasn’t going to be around all week to accept deliveries, and I wanted to make sure it arrived in time. It came with the regular post bang on time. The cake was well packaged in it’s own little tin (of which i’m keeping because it’s too cute and i’m sure I will find a use for it), and was wrapped for freshness. They stay fresh for up to 2 weeks, so I left it all wrapped up until Dad’s birthday. 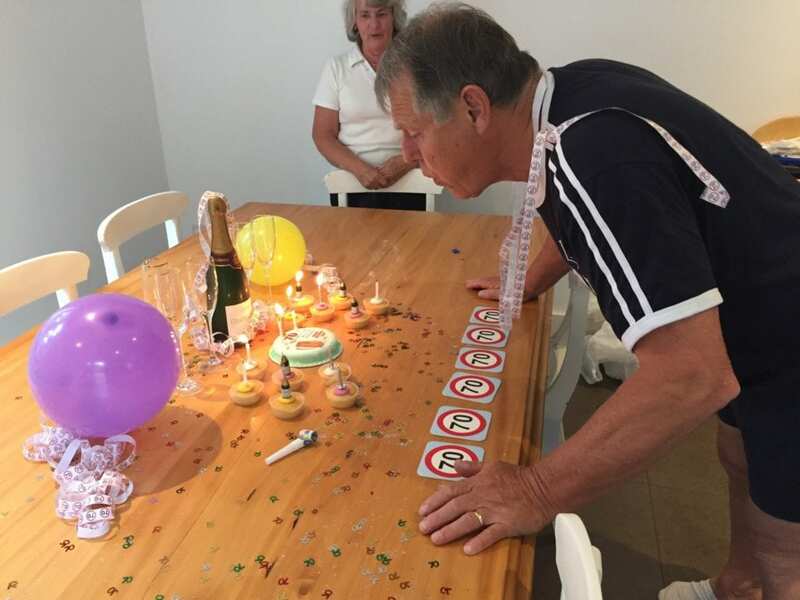 They even put in a couple of balloons, and card and a party blower which I thought was a really nice touch. The cake survived the journey with not a hint of a scratch on it. We presented to Dad on his birthday in the afternoon with some Champagne, and it went down very nicely. The cake was still soft and fresh, and I thought the decoration on the icing was fab. My only criticism if i’m being really picky is I would have liked more buttercream, as personally that’s my favourite part of a cake, but I can understand that that could possible shorten it’s shelf life. Dad loved his surprise, and we all enjoyed eating it (especially the children). It was nice not to have any baking stress for a family birthday, and the decoration was far superior to what I could create. 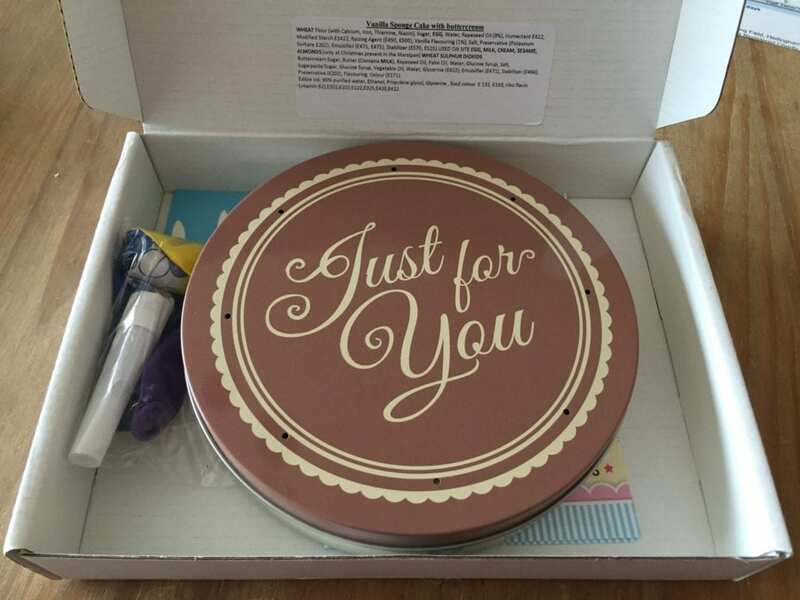 The main appeal to me is the convenience of the service, to be able to order a personalised cake the day before, and have it delivered to through your door in time to enjoy. This means even the most unorganised people (me at times!) 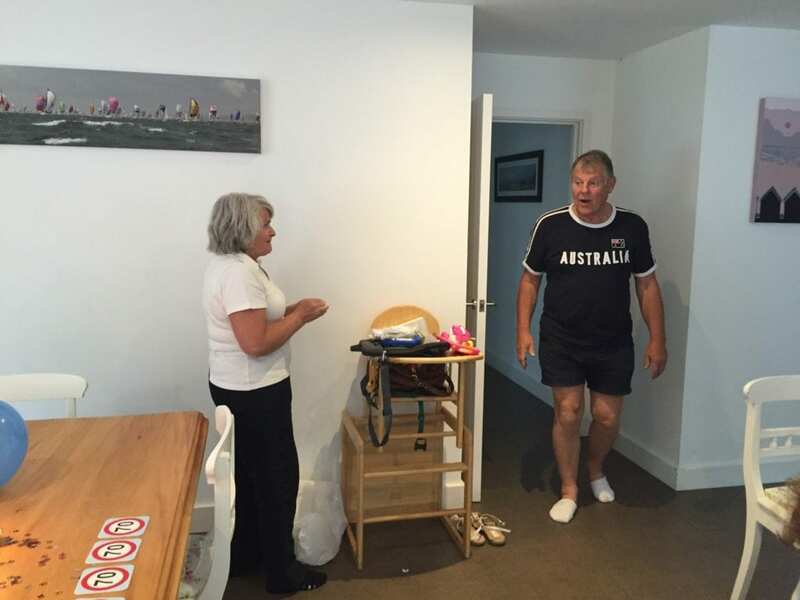 can surprise a loved one at a moments notice. Who thought you can get birthday cakes delivered through the letterbox? Definitely make s a welcome change from bills! What do you think? 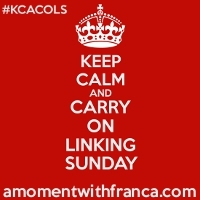 Is this a service you think you would use in the future? Have you tried a BakerDays cake before? If you are interested in having a look at what Baker days please take a look at their website or Facebook page, or follow them on Twitter. I will definitely be taking another look in the future when I neither have the time or inclination to bake. Disclaimer: I received the letterbox cake from BakerDays in return for writing this review, but all opinions and words are my own. Thank you, yes I was really impressed too,, and it was a great talking point! It’s a great idea, just wish i’d thought of it first! 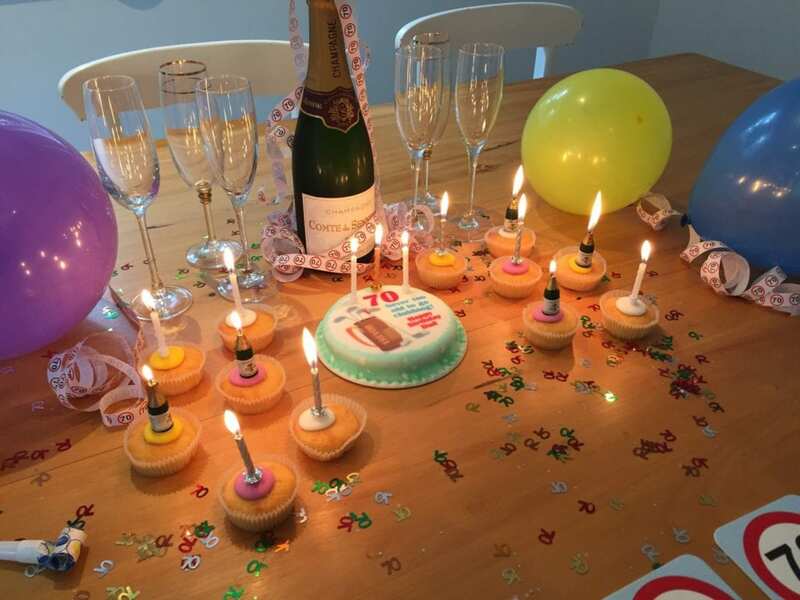 They really do take the stress out of celebrations! Thank you, yes so convenient!